Pearly whites can come with a price. Teeth whitening is expected to become a $7.4 billion industry by 2024, with Americans spending $1.4 billion alone on over-the-counter whiteners to bleach away the stains from cigarettes, red wine, coffee and natural aging, according to the American Academy of Cosmetic Dentistry. But preliminary researchpresented at the American Society for Biochemistry and Molecular Biology’s annual meeting this week suggests that these whitening strips could be damaging teeth beneath the surface. Our teeth are made of three layers: the outer white enamel layer; the underlying dentin layer composed of proteins (namely collagen); and the pulp in the center that houses nerves, blood vessels and connective that binds the tooth to our gums. 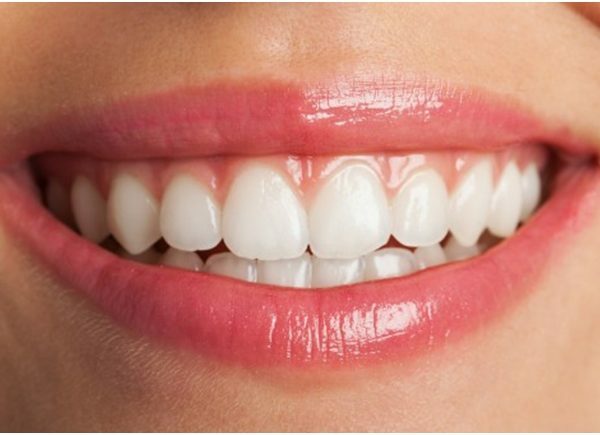 And this latest research found that the hydrogen peroxide that serves as the active ingredient in whitening products could be hurting that protein-rich dentin layer. The study, led by Kelly Keenan, an associate professor of chemistry at Stockton University, treated extracted human teeth (from cadavers) with whitening strips, following the manufacturer instructions to leave them on for an hour. 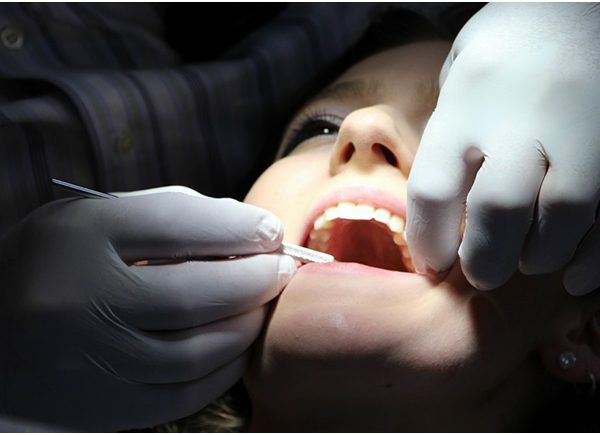 Researchers also immersed the teeth in artificial saliva and washed them, to simulate what teeth experience in a human mouth. Then they tracked the level of collagen and other proteins remaining in the dentin layer of the whitened teeth, and compared that to a control group of unbleached teeth, as well as to another set of teeth that were whitened three times. They found that the teeth whitened with strips once had less collagen and other proteins than the untreated teeth; the proteins were converted to smaller fragments. And those whitened three times had even smaller amounts of collagen. “Our results show that treatment with hydrogen peroxide concentrations similar to those found in whitening strips is enough to make the original collagen protein disappear,” said Keenan in a statement. Teeth-whitening products are considered safe by the American Dental Association and most current research when the user follows the manufacturer’s instructions and doesn’t leave the bleaching agent on for too long, or swallow it, etc. “Tooth whitening is the most commonly requested service in many dental offices around the country …. and we’re confident in saying that these products are safe and effective for all of the tissues of the tooth,” Dr. Edmond Hewlett, a spokesman for the American Dental Association and dean at the UCLA School of Dentistry, told MarketWatch. The dentists that MarketWatch spoke with recommended getting a professional whitening done (for around $650 and up) to mitigate risks from incorrect use. “Whitening is best done under the supervision of your dentist. If you’re not supervised with the whitening strips, and you don’t place them properly, you can burn your gums or create white spots on your gums,” said Dr. Castilla. Those at-home whitening strips, like Crest 3D White Luxe Professional Effects Whitestrips ($54.99) from Procter & Gamble PG, +0.30% or Walgreens Whitening Wraps ($13.99) WBA, +0.02% can also take a bite out of your wallet — and they’re not so effective on everybody. For example, porcelain veneers, crowns, bridges, dental implants or cosmetic bonding agents on your teeth will not whiten, so those will remain darker and give an uneven-colored smile. Neglected teeth that haven’t been brushed regularly, or cleaned annually during a dental exam, will also not respond as well to whitening procedures. And gray teeth or internal stains from taking the antibiotic tetracycline, or too much fluoride as a child, also are impossible to remove with teeth-whitening products. Plus, you’ll have to abstain from stain culprits like cigarettes, coffee and red wine for a couple of weeks after your treatment — not just a couple of hours — to keep that grin glowing. “When you’re whitening teeth, what you’re doing is increasing the porosity of the enamel temporarily (so the whitening agent can reach the discolored molecules in the teeth), so you’re actually more likely to stain your teeth again right after whitening,” explained Dr. Castilla. The bottom line: Whitening strips are probably safe, but talk to your dentist before trying any whitening products. Together, you can determine whether you could be prone to painful tooth or gum sensitivity, as well as whether an at-home treatment will be effective on your particular stains. And when you do purchase whitening products, select those with the American Dental Association’s seal of acceptance, which means it has been evaluated by an independent panel of dentists. 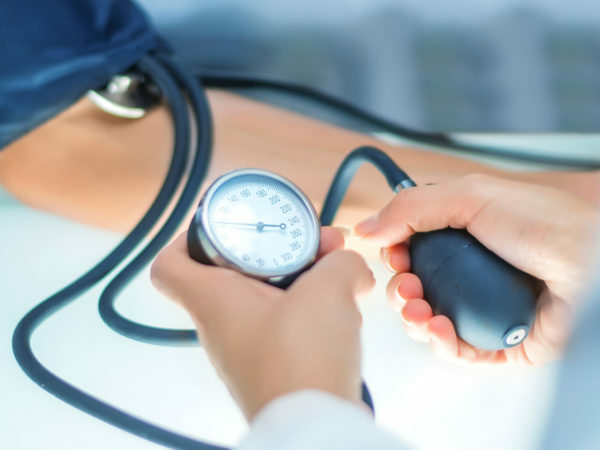 Do You Ask Your Patients with Hypertension About Dental Health?